New York (TADIAS) – After near dissolution, the 28 year-old non-profit, Ethiopian Sports Federation in North America (ESFNA), recently held elections for new leadership. The organization was steeped in disputes for the past 15 months prior to the current resolution. On December 11th a newly elected board announced that the organization’s annual summer soccer tournament and cultural festival would be held in Dallas, and noted that the upcoming guest of honor will be a sports figure from Ethiopia. ESFNA’s executive board decision to rescind an invitation to former Ethiopian Judge and opposition leader, Birtukan Mideksa, in October 2010 initiated the disputes. Judge Mideksa had been chosen by the ESFNA board as a guest of honor for its July 2011 event, but internal strife ensued over whether the invitation was appropriate or not. The controversy escalated as resignations followed amid public criticism, including accusations of corruption and malfeasance. Ultimately an invitation was extended to Judge Mideksa and the tournament went on as scheduled in Atlanta albeit under a cloud of threats of boycott by several groups as well as calls for new elections. The tournament, and the ESFNA itself, was salvaged during a three-day meeting of the organization’s board in Northern Virginia. The board elected Getachew Tesfaye of the St. Michael football club in Maryland as the new president of ESFNA, and likewise installed a new treasurer and business manager. Dallas was selected as the 2012 host over Seattle, Las Vegas and Denver, which also submitted bids to host the event. The new president told Tadias Magazine that Denver’s hosting proposal was nearly as persuasive as the one selected, but a down economy influenced the decision to return to Dallas a fourth time. Also in acknowledgement of the weak economy, the 2012 venue — a stadium in Addison, a suburb of Dallas — is significantly smaller than the 2011 site, the Georgia Dome in Atlanta. Regarding the guest of honor, Tesfaye said two prominent sports figures are being considered and an announcement is expected early in the new year. Yohannes Berhanu, the new Public Relations Officer of ESFNA, said there is hope that internal divisions are now laid to rest, and that the organization will be viewed as a sports and cultural entity moving forward. The sport federation was formed in 1984, and the first annual tournament was held that year in Houston. Berhanu likened the federation’s inclusiveness to that of community groups. Of the athletes, he noted some are former members of the Ethiopian national team and are well-known and highly regarded. They also need to step up their game on the field and start hiring professional referees. Hope the new President meant to say that “all who have interest in Ethiopia are welcome,” because what he actually said: “If you serve the interests of Ethiopia,” you are welcome to our tournament,” sounds over-the-top. How does he define that? And they say they are ‘a soccer federation’. Well one can say, they are a soccer federation that ‘serve the interests of Ethiopia’. Hmmm! the new guys also need to fix the hotel mess situation. very embarrassing things taking place in these hotels. The wheels of democracy grinding slowly but surly at ESFNA!! bravo! Solution is good!!! Good job and good luck to the new team! It seems that the federation seems to see the light at the end of the tunnel what the Ethiopians are saying and talking about all along.The federation also must understand that there is no way under this clear blue sky they can separate politics from sports. We are planning to attend the Dallas game provided that the federation allows at the beginning of every game a moment of silence. Wow wee… just found out that ESFNA is split into two … so what is this Getachew Tesfaye talking about – its now obvious that the truce never happened….. this could get very interesting. Yes, let us slit ESFNA into many little pieces. Yes, let us deny the people unity, sports or fun without acrimony and vitriol. Yes let us dance on its grave, its only 30 years old. Who cares we can start from scratch and catch-up again 30 years from now. Bravo!! Good accomplishment! Genius. very forward looking leadership! lol, mmmmmmmmm, It SOUNDS more like someone lost an election and they are spreading a rumor about the new leadership. You know the typical negative Abesha stuff…it’s in our DNA. @ Mez, Actually its a sad day for ESFNA, my intent was never to sing like a happy cat..it was just an expression. wow weee, can we get along please? Yes, indeed, this is America people. Democracy means rule by discussion and election. And ESFNA has held its election. If you lost so be it. In democracy, sore looser are not very admired because they are a vexing to the system. If you loose an election, that means the majority has rejected your ideas this time around. Just accept it and move on and give the new leadership a chance to succeed. You will win next time. If not, it’s a free country, you can start your own soccer tournament any time you want. Just Leave ESFNA ALONE! True to its democratic tradition, on the third day October 16, 2011, ESFNA held election of new officers and said thank you and goodbye to officers who have finished their term. The current President Mekonnen Demisiew of San Diego and Internal Auditor Zelalem Seifu of Maryland finished their first term and declined to run for a second term. Treasurer Taye Wogederes of DC Unity, Business Manager Bisrat Desta of Seattle Dashen, and PR Officer Fassil Abebe of LA Dallol, finished their second term and were replaced by new officers. The Board of Directors elected Getachew Tesfaye of St. Michael’s President, Solomon Ayalew of Addis Dallas Treasurer, Melaku Aynalem of San Jose, Business Manager and Yohannes Berhanu of Toronto PR Officer. The current Tournament Coordinator Endale Tufer of Atlanta was persuaded to serve for a second term and he accepted. After a long discussion the Board of Directors asked Ato Feleke Teka of LA Dallol to serve as an outside auditor on an emergency basis until we decide on how to go forward regarding the Internal Auditor position. The entire family of ESFNA would like to present its heart felt appreciation to our out going officers for their dedication and service. This year was particularly difficult for our officers and they showed a remarkable resiliency as a group. We also wish our incoming officers good luck as they are taking over at a very crucial time and we’re all counting on them to show the correct leadership and vision to steer our organization in the right direction. ESFNA.net, what is the purpose of this post? I have been following ESFNA since 1988 and since the time when the tournament was held in Hyattsville, MD (that would make it 2002 or 2003) there has been nothing but trouble within the membership at ESFNA. So why can’t the leadership be understanding and whatever the concerns are that are being raised. I am sure, amongst brothers, you guys can figure out a way to coexist. However, just throwing a press release that states all is fine in the ESFNA world is loaded with politics and I find this approach unilateral and unaccommodating and frankly belittles the intelligence of your fellow Ethiopians. To me, the bigger issue is this. There are many second and third generation Ethiopian Americans whom this activity benefits the most. The reason, we do not want to raise children who are culturally and morally lost. However, most of the leadership of ESFNA (as I see it) is hell bent to make a point. This is not Ethiopia people, this is the USA and people have options, people can stay away…the youth and young adults, who have the largest spending power if you look at the demographics is the ones you push away first because they are not interested in the current, politically motivated endeavor that you have embarked on. ESFNA should align with non biased media (such as Tadias) and stop feeding fuel to the fire by taking on radio shows such as Abebe Belew…THAT is a death sentence. We live in united state of america. we work hard and everyone take care of own bussines. Why do work for someone and self interest? Why ignore the rest of your people? This isn’t not back home.This is the land of freedom place. We came here this country to improve our self, to support our family here and back home, to have a better life and opportunity,for our self and our children. Also,to live here peace. However, we are still a strong people, we will get ride off those people and the ESFNA will start fresh for our young Ethiopian new generation. God bless all. In a show of solidarity that is common and expected in the Ethiopian Diaspora community, the Ethiopian Heritage Society of North America (EHSNA) has agreed to defer its Ethiopian Heritage Festival so that it does not conflict with the sporting events being promoted by the Ethiopian Sports Federation of North America (ESFNA). Because of timing conflicts, many Diaspora Ethiopians came forward to express that they did not want to miss either event. The EHSNA Heritage Festival, going on its second year, was initially held in the first week in July in the Washington, D.C. metropolitan area. ESFNA is approaching its 29th year of holding its annual sporting events in early July in Dallas, Texas. In a show of support, the younger of the two organizations, EHSNA, has agreed to move it’s Heritage Festival to the Labor Day weekend. 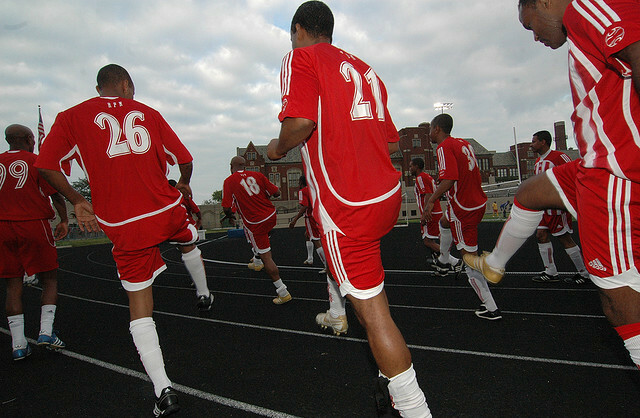 The Ethiopian Sports Federation will hold its sports events in Dallas from July 1 to July 7. The Ethiopian Heritage Festival will be held in September, using the three-day, Labor Day weekend to its full advantage. Exact times, dates, and places will be announced. The festival, now entering its second year, will probably be held in the D.C. area, as it was in the preceding year. The Heritage Society takes this opportunity to praise and celebrate the Ethiopian Sports Federation for its longevity – this will be its 29th year of holding the sports events. The Heritage Society also praises the Sports Federation for its efforts to thwart the reach of the illegitimate TPLF government now in power in Ethiopia. OOOOPS to the haters. The party is in DALLAS baby! Come one, come all! Let’s come together in unity and respect for one another! Big D we will be there! “The Heritage Society takes this opportunity to praise and celebrate the Ethiopian Sports Federation for its longevity – this will be its 29th year of holding the sports events. The Heritage Society also praises the Sports Federation for its efforts to thwart the reach of the illegitimate TPLF government now in power in Ethiopia”….If you are interested in sports and celebrating the Ethiopian culture nothing else, DC is the place to be. Thank you EHSNA for making a clear contrast between the two.